League One side Scunthorpe United have taken their total of January signings to five by bringing in defenders Byron Webster and Harrison McGahey. Webster, 31, has left Championship club Millwall to join on a contract until the end of the season. The Iron have also signed 23-year-old McGahey from fellow League One side Rochdale on a two-and-a-half-year deal for an undisclosed fee. They follow the arrival of Kevin van Veen, Adam Hammill and Tony McMahon. 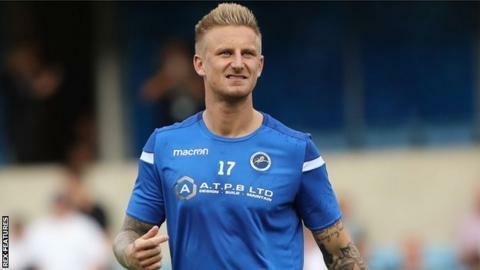 Webster, who joined Millwall in 2014, began his career with York City, since when he has also played for Doncaster Rovers, Hereford United, Northampton Town and Yeovil Town. McGahey was on the books of both Blackburn Rovers and Liverpool before joining Blackpool in 2013, and went on to play for Sheffield United and Tranmere Rovers (loan) before moving to Rochdale in June 2016. Scunthorpe are currently 21st in the table, but climbed to within a point of safety after successive post-Christmas wins against Wycombe Wanderers and Peterborough United. Prior to that, Stuart McCall’s side had gone six games without a goal, in an overall run of seven straight league and cup defeats.